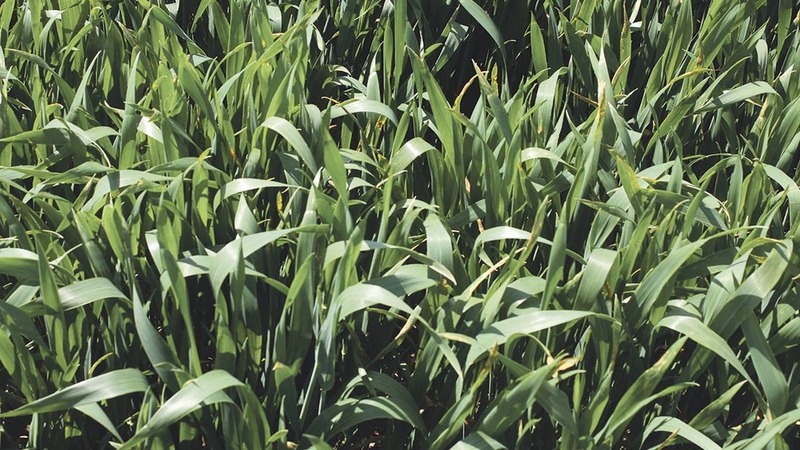 Time lapse photography is being used to collect as-it-happens images of disease development in a crop of wheat for a third season. Teresa Rush reports. A picture is worth a thousand words, the saying goes. It is an idea crop science business Bayer is seeking to explore in a bid to help inform better disease management, as it embarks upon a third season of its time lapse photography project. 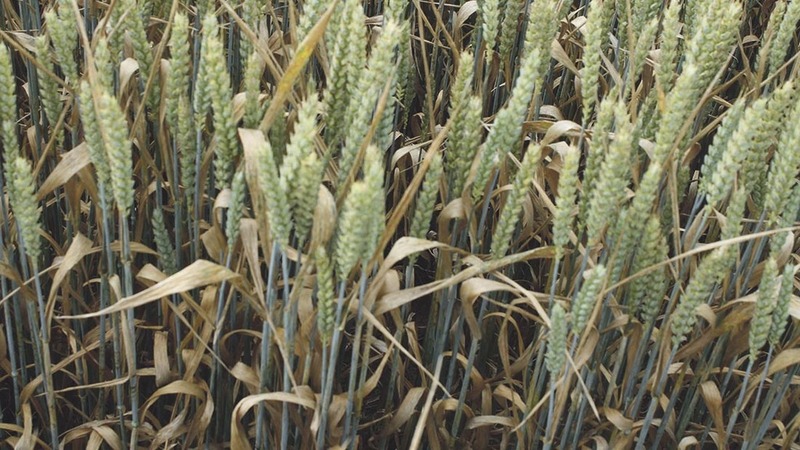 Between April and August this year cameras positioned within fungicide-treated and untreated plots of KWS Santiago winter wheat at the company’s development site at Callow, Herefordshire, will take thousands of images – one every 20 minutes – of the growing crop, providing detailed information on crop and disease development. There is little difference in the disease pressure between the two years at this stage. 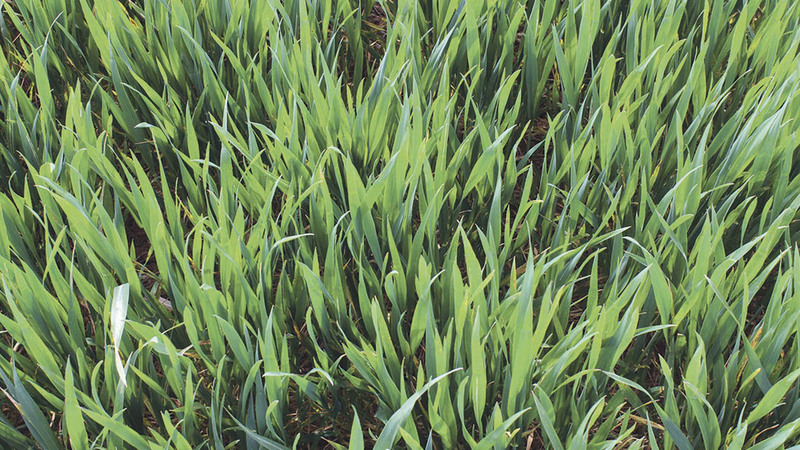 Septoria is visible on the lower leaves, but leaf 3 is clean. Note, 2014 is slightly more forward than last year, mainly because of the warmer spring. Local weather data will also be collected, allowing disease development to be tracked alongside temperature and rainfall conditions. All of this information will be available to view via a live feed to the company’s website. The project first got underway in 2014 and since then some 50,000 images have been amassed, says Bayer combinable crop fungicides product manager Will Charlton. His colleague, technical manager Gareth Bubb, reflects on some of the observations drawn from the last two seasons. “We thought 2015 was going to be a high disease pressure year looking at disease levels running up to T1. 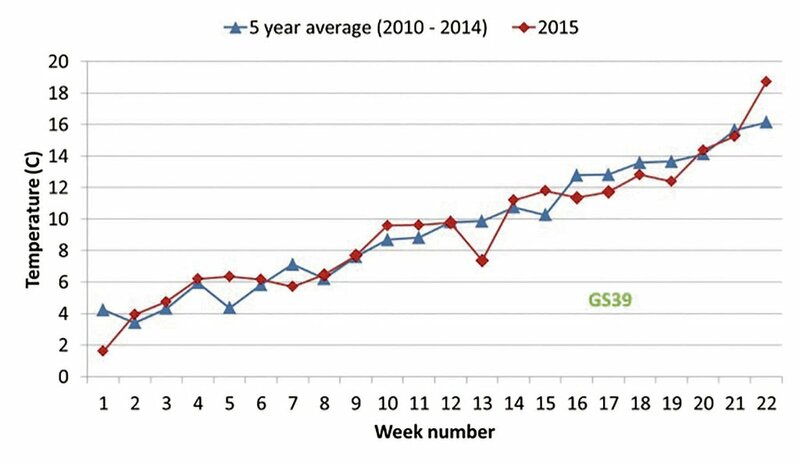 Weather conditions and septoria were broadly in line with 2014 up until that point. “We sampled some leaves [final leaf 2] just prior to T2 to determine the amount of latent infection, but the amount of infection we were finding was really low. In fact, it turned out to be a low disease season overall even though the initial disease levels were high. If you look at 2014 versus 2015, there was nowhere near as much disease in 2015 as we had in the previous year. “So we had a look at the weather data and worked back and initially there didn’t really look like there was much difference at all between the two years. But when we plotted the weekly average rainfall from the beginning of February to the end of June, for every week between T0 and T1, rainfall was below the average and quite a bit below the average. “Then straight after T2 every week the rainfall was below the five-year average. So although the initial disease pressure was really high, the subsequent weather actually meant the epidemic was pushed further out.” Low temperatures were also part of the picture in 2015, he adds (see graphs, below). During the period around T2, for example, daily temperatures were consistently below average. 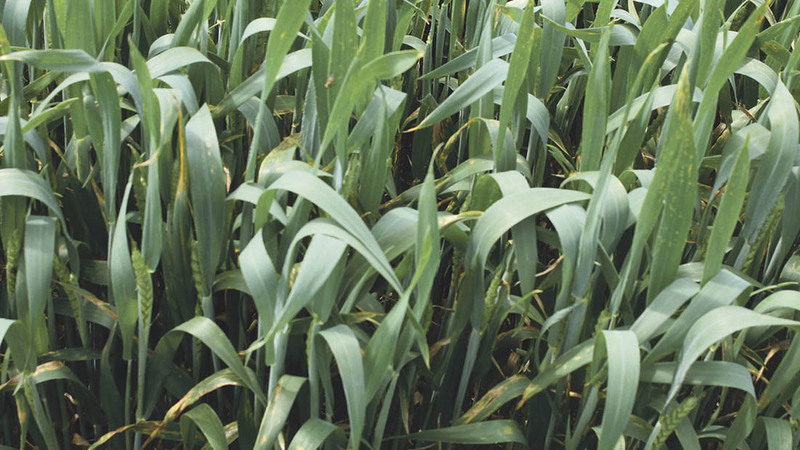 This combination of rainfall and temperature factors meant the latent period of septoria was increased, disease took longer to cycle and was ultimately pushed back later into the season. “People were looking at the images and saying, ‘well there are no real differences’ but suddenly there was a point in time when, bang, you could see it,” says Mr Bubb. Just ahead of T2 and there is still little difference between the two seasons in terms of visible disease pressure. When choosing a T2 you might at this point be tempted to draw the conclusion there is little disease present and adjust your spend accordingly. 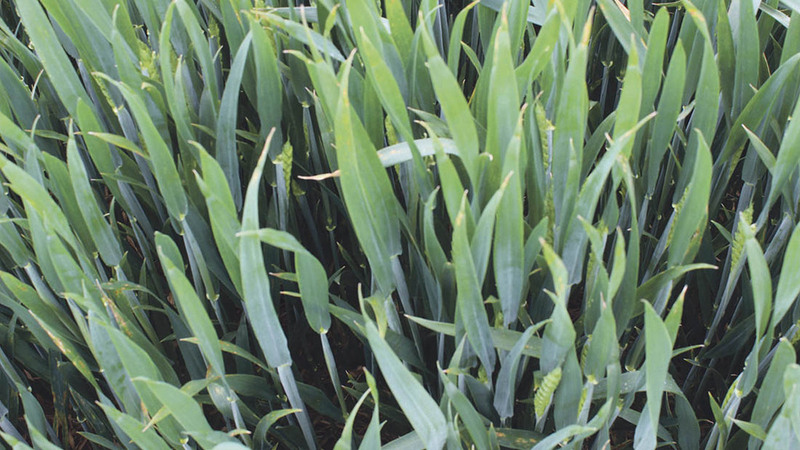 Following T2 applications some small lesions are showing on leaf 2 in 2014, but the flag leaves seem clean on both crops. But while the time lapse camera images offer an insight into disease progression within season, greater value lies with the accumulated images and weather data, believes Mr Bubb. “The value is in building a picture of what can happen season to season. ‘I am in this scenario currently, what might happen next’? Another use for the data could be in monitoring leaf emergence in-season and across seasons, he suggests. 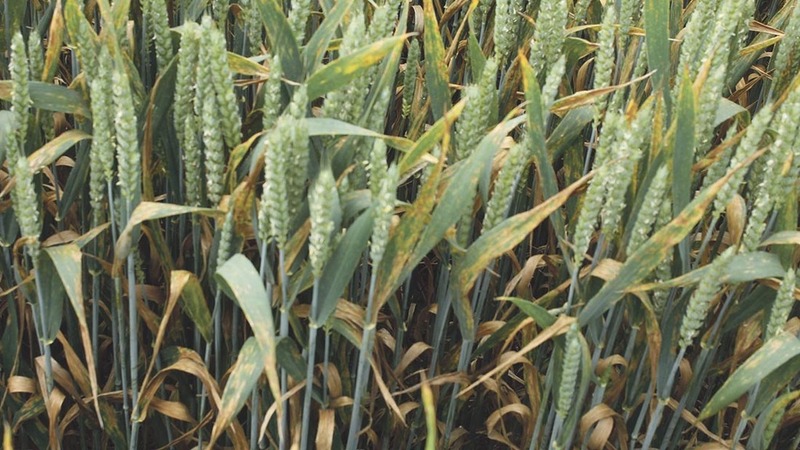 It is now widely accepted disease control in winter wheat must be based on a more protectant approach than has been the case in the past, but this puts even more emphasis on getting fungicides on as key leaves are emerging. While there should be little variation in flag leaf emergence across crops because it is governed by day length, leaf 3 can emerge at different times because its emergence is regulated by temperature. “The way we go forward has got to be more protectant; if you delay fungicide applications they aren’t going to work so well. 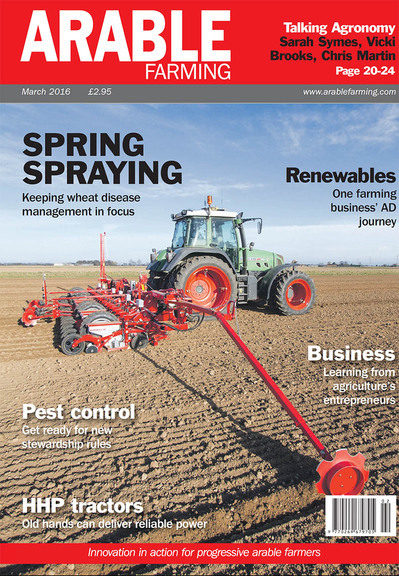 So if you get a leaf out and you can spray early then you will get a lot more help from your azoles – because they are not going to offer you any curative activity,” says Mr Bubb. 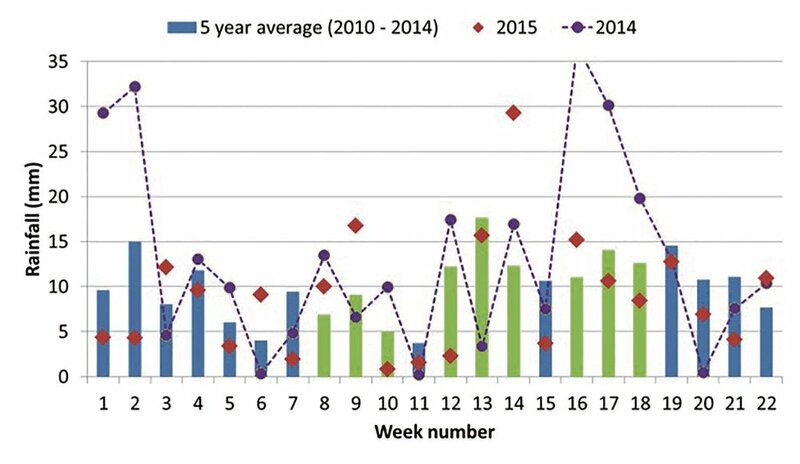 The high level of latent infection in the 2014 crop has expressed itself, whereas the weather of 2015 has delayed the spread and expression of septoria. This would be following the T3 timing, so nothing could be done to rectify the situation, underlining the need to provide adequate protection to the crop regardless of the weather. With more than 70% of yield coming from the top three leaves it is vitally important to keep these leaves clean, he says. “But if you’ve messed up at T1 you are not going to keep them clean. It really underlines the importance of building control from the early timings, because we have got less curative activity. 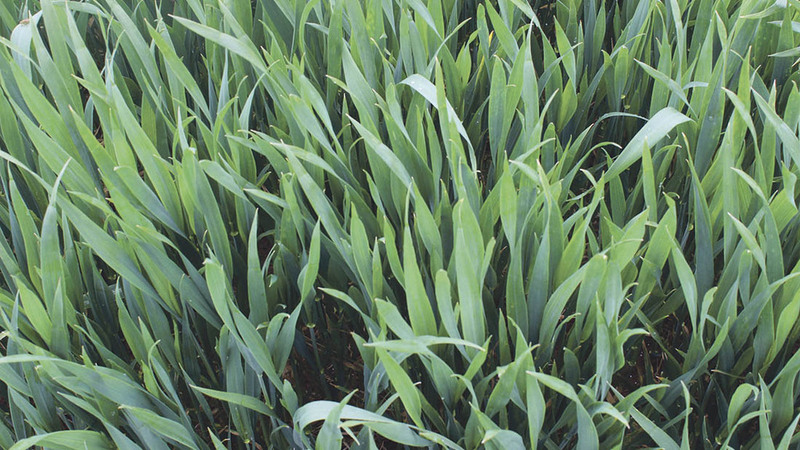 It starts with the T0, dampening disease down and protecting leaf layers as they are emerging. “And if leaf 3 comes out early we can have big intervals between its emergence and flag leaf emergence, and that is where we might have problems and where we start talking about T1.5 sprays. “Warm temperatures early could force your hand to push your T1 early, which means the T1 to T2 interval could be over three weeks, it could even be over four weeks, which is really where you don’t want to be,” he says. 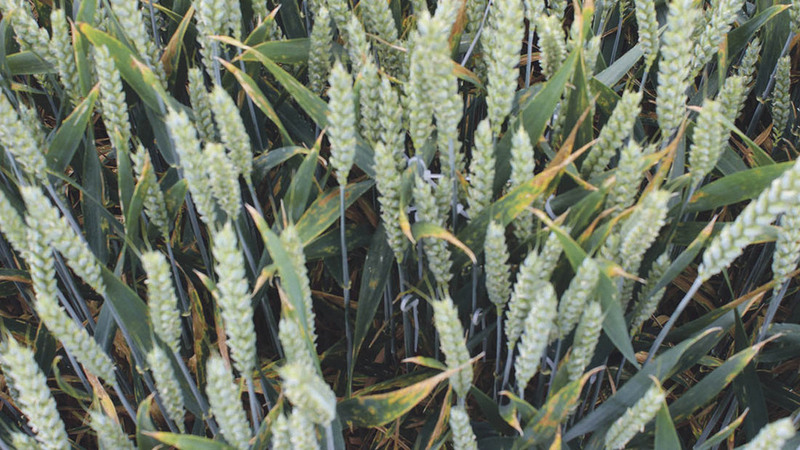 Mr Charlton adds the images collected during 2014 and 2015 provide a good illustration of how devastating septoria can be if spray timings or product choice or dose rates are wrong. 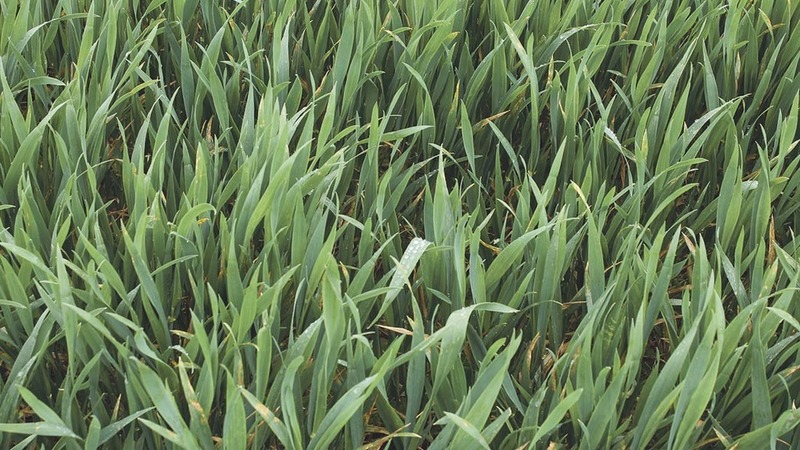 Mr Bubb says: “How many times will a farmer or agronomist look at a wheat crop between T1 and T2 and alter their decision – once, perhaps twice? 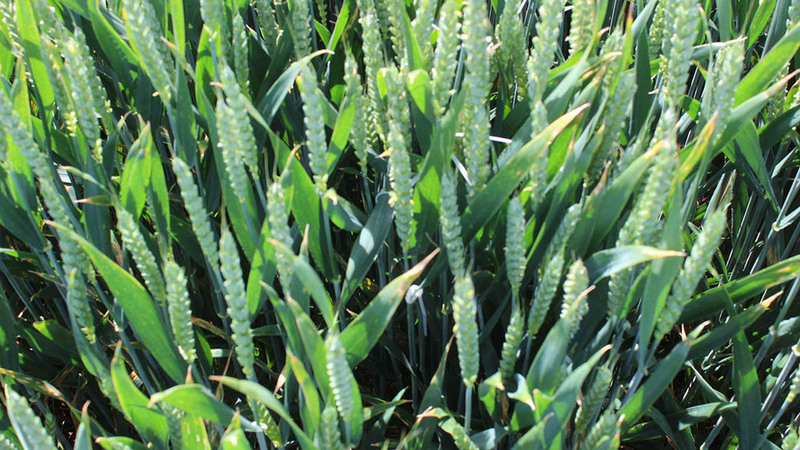 The 2015 crop is now beginning to show signs of septoria, but long after it was seen in 2014, when the crop had a little green leaf area left at this time.